Coimbatore : An elephant calf, which was stranded in a trench in Nellithurai coming under Mettupalayam Forest Range on the outskirts was rescued by forest department officials Saturday. 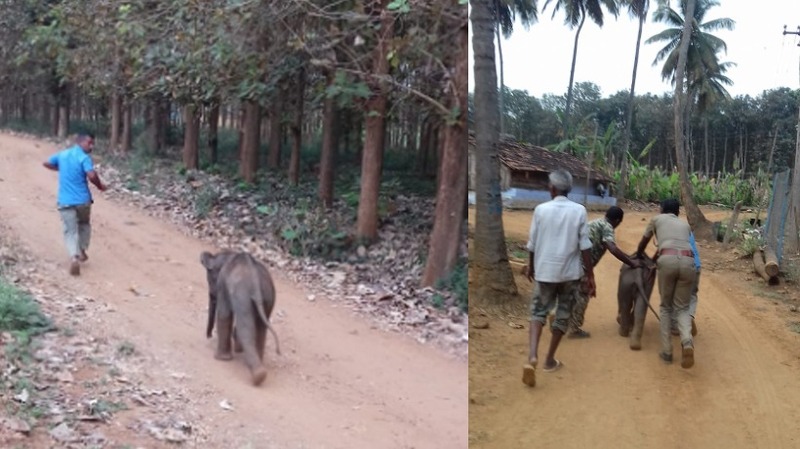 Hearing the continuous trumpeting of an elephant herd, the officials rushed to the spot and noticed the one-year old calf stranded in the trench. The calf, which was moving along with an elephant herd, was stuck in the trench due its height, while others managed to cross it. The trench was dug in the border of a farm land and reserve forest, department sources said. Struggling for more than three hours, officials managed to push the calf across the trench and united it with the waiting herd, they said.